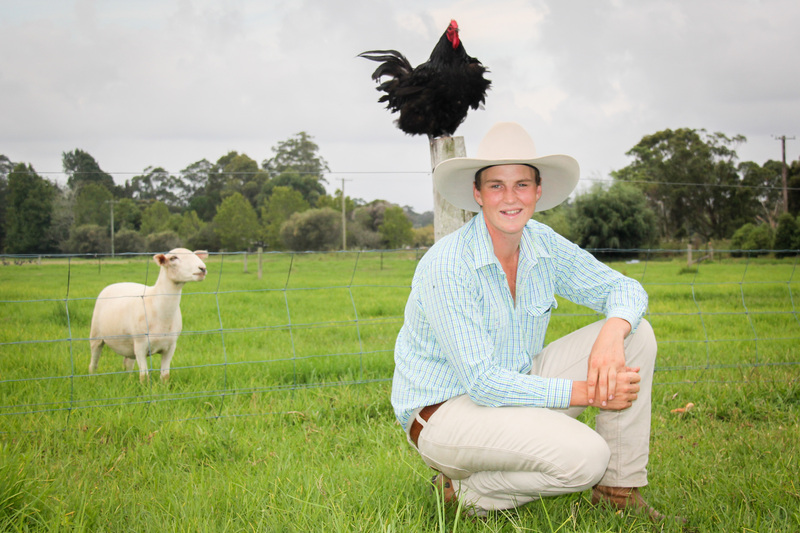 Meet Tim Eyes the young farmer who will join a total of three hundred and thirty five (over the 14 nights of the show ) very lucky Australians to go glamping at the Sydney Royal Easter Show this year. Tim loves people and people love Tim ( for all the right reasons). The last 12 months have been a highlight for the Art4Ag team working with our superstar journalist Mandy McKeesick writing a series a case studies, identifying what makes each of our Young Farming Champions like Tim unique. Tim was over the moon when he got the call from the RAS of NSW inviting him to be the farmer the glamping participants get to share the campfire experience with over the 14 days of the show. He so looking forward to inspiring the lucky glampers to be as excited about the agriculture sector as he is. This exclusive opportunity to sleep-over at the Show is being offered for the first time in 2017. The lucky participants will meet and share a campfire meal with Tim. They will meet thousands of farm animals, see the world-famous District Exhibit fruit and vegetable displays, taste award-winning food and wine, watch world-class entertainment, experience exhilarating carnival rides and catch an evening show which features a nightly firework spectacular. At night, they will sleep over in one of the Show’s fully-catered luxury tents, which comfortably sleep four people. Wake up in the morning to the sounds of farmyard life and help hand-feed breakfast to the animals, before heading off to enjoy all the other attractions of the Show. Access to a luxury 5m x 5m Glamping tent for 4 people, including 1 x queen-size bed and 2 x single beds, with pillows and linen. Towels and face washers are provided, along with soap, shampoo, conditioner and moisturiser. Access to shared toilet and shower unit, dedicated to the 6 tents located at the campsite. Overnight Tour Host Tim Eyes will be on site to host you from 9pm to 8.30am. Breakfast includes bacon and eggs, fresh fruit, muesli, tea, coffee and orange juice. Previous Previous post: Young people in agriculture – watershed moments to expand their field of influence.